A college education has long been both a key ingredient to upward mobility and a crucial means of educating virtuous citizens. But as tuition and college debt have skyrocketed, graduation rates have fallen, and liberal education has been increasingly squeezed out of the curriculum, higher-education has also become a major source of risk and anxiety for middle-class families. Is the traditional college model sustainable? Will technology transform teaching and learning? Is there still room for real liberal education on our campuses? 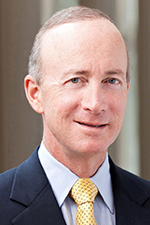 MITCHELL E. DANIELS, JR. is President of Purdue University. Daniels assumed the role in January 2013, at the conclusion of his term as Governor of the State of Indiana. Daniels comes from a successful career in business and government, holding numerous top management positions in both the private and public sectors. He served as Chief of Staff to Senator Richard Lugar, Senior Advisor to President Ronald Reagan and Director of the Office of Management and Budget under President George W. Bush. He also held the position of President for the Hudson Institute before he moved to Indiana and joined Eli Lilly and Company where he held the office of President of North American Pharmaceutical Operations. Many organizations have recognized the governor’s leadership. He has received The Woodrow Wilson National Fellowship Foundation’s inaugural Medal for Distinguished Service to Education for his efforts to reform education. In January 2011, the governor was one of three recipients selected to receive the first-ever Fiscy Award, presented for leadership and commitment to responsible financial stewardship by the non-partisan Fiscy Awards Committee. Daniels also received the “2011 Friend of the Family Award” from the Indiana Family Institute, which recognized him for his strong record of pro-family, pro-life and pro-faith actions taken as Indiana’s chief executive. In May 2012, the Manhattan Institute presented the governor with its Alexander Hamilton Award for his achievements in state government; including healthcare improvements, landmark education reforms and fiscal responsibility. Daniels is the author of the best-selling book Keeping the Republic: Saving America by Trusting Americans. He earned a bachelor’s degree from the Woodrow Wilson School of Public and International Affairs at Princeton University in 1971 and his law degree from Georgetown University in 1979. ANDREW KELLY is a resident scholar in education policy studies and the director of the Center on Higher Education Reform at the American Enterprise Institute (AEI), where he works on higher education policy, innovation in education, financial aid reform, and the politics of education policy. Previously, Kelly was a graduate student at the University of California, Berkeley, where he received a National Science Foundation research training fellowship and was honored as an outstanding graduate student instructor. Before graduate school, Kelly served as a research assistant at AEI, where his work focused on how to prepare K–12 school leaders, collective bargaining in public schools, and the politics of education. Kelly’s findings have appeared in the American Journal of Education, Education Next, Educational Policy, Policy Studies Journal, and Teachers College Record. He has also been published in popular outlets such as The Atlantic, the Chronicle of Higher Education, Education Week, National Affairs, National Review, and The Wall Street Journal. He has edited many books on higher education, including “Reinventing Financial Aid: Charting a New Course to College Affordability” (Harvard Education Press, 2014),“Stretching the Higher Education Dollar: How Innovation Can Improve Access, Equity, and Affordability” (Harvard Education Press, 2013), and “Getting to Graduation: The Completion Agenda in Higher Education” (Johns Hopkins University Press, 2012). In 2011, Education Week’s Policy Notebook blog named Kelly one of its 16 Next Generation Leaders in education policy. Kelly has a Ph.D. and an M.A. in political science from the University of California, Berkeley, and an A.B. in history from Dartmouth College. PETER LAWLER is Dana Professor of Government at Berry College. He teaches courses in political philosophy and American politics. He is executive editor of the quarterly journal, Perspectives on Political Science and has been chair of the politics and literature section of the American Political Science Association. He also serves on the editorial board of the new bilingual critical edition of Alexis de Tocqueville’s Democracy in America. 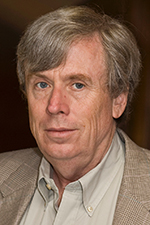 Lawler also serves on the editorial boards of several journals. He has written or edited fifteen books. His newest book is Modern and American Dignity for which he was named a Georgia Author of the Year. His books–Postmodernism Rightly Understood, Aliens in America,Stuck with Virtue, and Homeless and at Home in America–have been widely and positively reviewed. His American Political Rhetoric (edited with Robert Schaefer, sixth edition) is used in introductory American government courses at a sizeable number of colleges and universities. He was the 2007 winner of the Weaver Prize for Scholarly Excellence in promoting human dignity to a broad audience. Professor Lawler is a regular contributor to National Review‘s Postmodern Conservative blog. He formerly blogged for First Things and the Ashbrook Center’s No Left Turns, and wrote a column called Rightly Understood on BigThink.com. In 2004, Lawler was appointed to President Bush’s Council on Bioethics. He served until the council was terminated by President Obama in 2009. 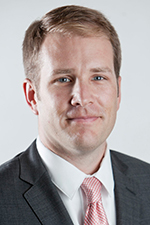 He is a graduate of DeSales University and holds a PhD from the University of Virginia. 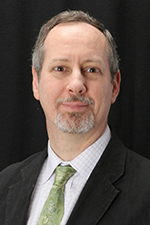 ALEX TABARROK is Bartley J. Madden Chair in Economics at the Mercatus Center at George Mason University and a professor of economics at George Mason University. 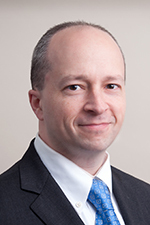 He specializes in patent-system reform, the effectiveness of bounty hunters compared to the police, how judicial elections bias judges, and how local poverty rates impact trial decisions by juries. He also examines methods for increasing the supply of human organs for transplant, the regulation of pharmaceuticals by the FDA, and voting systems. Tabarrok is the coauthor, with Mercatus colleague Tyler Cowen, of the popular economics blog Marginal Revolution and cofounder of the online educational platform Marginal Revolution University. He is the coauthor of Modern Principles of Economics, and author of the recent e-book Launching the Innovation Renaissance. His articles have appeared in the New York Times, the Washington Post, the Wall Street Journal, and many other prestigious publications. Tabarrok received his PhD in economics from George Mason University. Yuval Levin, Ethics and Public Policy Center and National Affairs Yuval Levin is the Hertog Fellow at the Ethics and Public Policy Center. His areas of specialty include health care, entitlement reform, economic and domestic policy, science and technology policy, and political philosophy. Mr. Levin’s essays and articles have appeared in numerous publications including the New York Times, the Washington Post, the Wall Street Journal, Time, Newsweek, Commentary, and others. He is a contributing editor of National Review and The Weekly Standard, and is the author, most recently, of The Great Debate: Edmund Burke, Thomas Paine, and the Birth of Right and Left. Mr. Levin is also the founding editor of National Affairs magazine and a senior editor of The New Atlantis. Before joining EPPC, Mr. Levin served on the White House domestic policy staff under President George W. Bush. He previously served as Executive Director of the President’s Council on Bioethics, and as a congressional staffer. He holds a BA from American University and a PhD from the University of Chicago.